Home tennis Could smart scheduling benefit ITF players? Could smart scheduling benefit ITF players? For tennis players, intelligent scheduling often seems to be lacking. We often see players participating in tournaments and wonder why they chose to play in that particular event, rather than in a different event in that week. This is an issue from the very top level in ATP down through Challengers and into the ITF events. In this article, I will focus on looking to find a way that players could look at optimising their schedule at the ITF level. The reality is that it is almost impossible to survive financially purely relying on the ITF Tour. The prize money situation there has been written about in many places and, while this may change in the future, at the moment, unless you are winning titles almost every single week, the main aim for players at the ITF level has to be to boost their ranking to the point where they are able to play Challenger events. 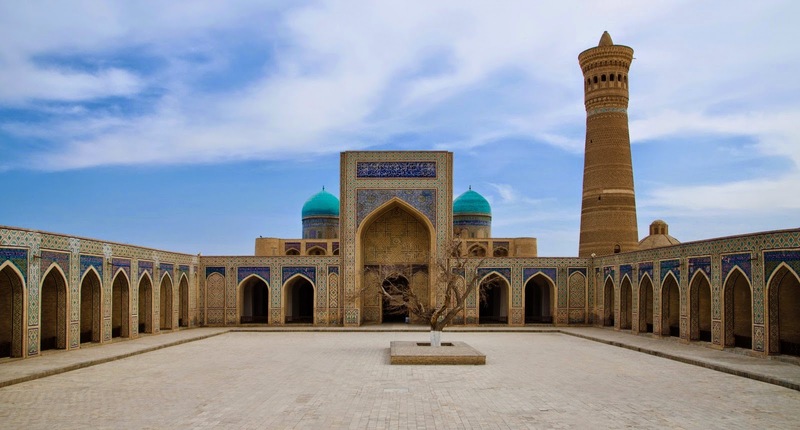 Could tournaments in places like Bukhara be the smart move for young players looking to boost their ranking? For losing in the first round of a mid-level Challenger event ($75k) would result in a cheque for $780. To receive the same amount of money, a player would have to reach the final of an ITF event. Winning a $10k futures event results in a cheque for $1,300 - this is the equivalent of winning one match in a Challenger event. Thus, the main aim for a player at ITF level must simply be to boost their ranking to the point where they are able to enter Challengers. At the same time, players will improve more rapidly by playing against higher quality opposition. There is only so far you can improve without testing yourself against higher quality opponents, so again, reaching Challenger level should be beneficial for a player's development. All this sounds obvious. To state that players should be looking to improve and rises up the rankings is not exactly a great insight. However, with around 10 ITF events in any given week, the decision of which events to play can be critical. In the men's ITF Tour, there are two levels of Futures tournaments - $10k and $15k. 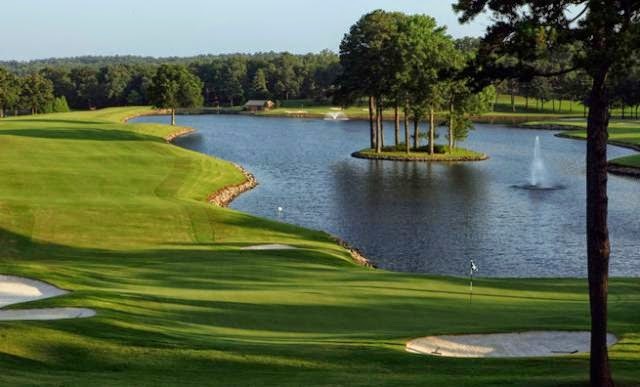 The majority of events are $10k, although there are often a couple of $15k events each week. The table below shows the prize money and points for each stage of elimination in the two types of event. To take an example, let us look at the ITF events for last week. There was a total of 12 events last week, three of which were $15k events and nine of which were $10k events. Given that outside of the tournament classification, the strength of the field does not have any impact on the prize money or ranking points on offer, it makes sense that a player should look to try and play in the weakest possible event to maximise his chances of collecting ranking points. A side effect of the rating system that my tennis model generates is the ability to classify the quality of the field in any given tournament. As a result, we can compare the level of each of the twelve events from last week. The table below shows the rating of the highest-rated player in the field, the mean rating and the median rating. The three $15k events were those in Santiago, Little Rock and Bukhara. The highest rated player in any of the twelve events was Rui Machado in Doha with an ITF rating of 1353.3. The tournament with the weakest highest-rated player was the El Kantaoui event, where David Perez Sanz's 1135.6 meant that it lacked any serious top level ITF players. Obviously, purely looking at the best player in the event is not overly helpful - an event may have one standout player and plenty of average players. If we look at the mean rating for each event, we can see that while the $15k event in Santiago only has the fifth strongest highest-rated player, it has the strongest field of the weak. There may not be any standout top-level player, but there are plenty of strong players in the draw, meaning that it would be a relatively difficult event to expect to progress in. Given that Santiago is a $15k event rather than a $10k event, this probably does not come as a huge surprise. However, we can see that the other two $15k events do not necessarily have such strong fields. 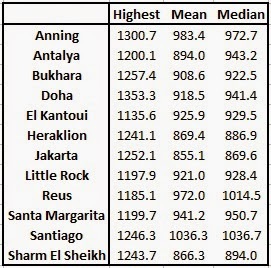 Little Rock only had the 6th highest mean rating of the twelve tournaments, while Bukhara was only 8th. The Chinese event in Anning is the second highest mean value for the weak at 983.4 followed by the Spanish event in Reus. One possible concern could be that a couple of weak qualifiers or local wildcards could drag the average of an event down, giving a false impression of a weak event. However, if we lookbvi at the median rating, the top three events remain the same, although Reus goes ahead of Anning, but still behind Santiago. However, now Little Rock and Bukhara, the other two $15k events, have dropped to 8th and 9th respectively. Despite there being more ranking points on offer at these two events, they seem to have some of the weaker fields of the week's ITF events. Could there be any argument that players could pick up some cheap ranking points by travelling to one of these two events? If a player wants to play a $10k event, why would he chose to play the event in Reus, where a strong field would mean a succession of tough matches to pick up the same number of ranking points as in Jakarta or Heraklion? The much weaker fields here would arguably mean that the expected ranking points that a player could expect to collect from playing the tournament would be higher. Obviously, the decision on which tournament to play will depend as well on the current ranking of the player in question. As one might expect, the cut-off for main draw entry to the $15k event tends to be slightly higher in general. The Bukhara event had the lowest cut-off at 686, while you would need to be ranked higher than 647 to make it into Santiago. If your ranking is high enough to make it into one of these events, there is a strong argument to head for either Bukhara or Little Rock. If not, a ranking of above 1,114 would get you into a weak event in Jakarta, while you would only need to be above 1,294 to make it into Doha. The money issue is of course a factor - for a Spanish player, it is obviously cheaper to play in Spain. Transport costs would be far lower and you feel more at home in your own country. However, making certain sacrifices in the short-term could bring longer-term benefits if you can boost your ranking to the point where you can play Challenger events. Whether you borrow money, find a sponsor or even come to an agreement with someone with money who could finance you for a share of future prize money, speculating in the present could lead to accumulating more money in the future. Obviously, this is a fairly simplistic approach for now. You would not travel long distances on a weekly basis to different events. However, you could perform similar analysis on groups of events. For example, in a three week spell, you could decide to play two $15k events in Uzbekistan, followed by the $15k event in Kazakhstan. The two Uzbek events are less than two hour drive from each other, while the trip to Kazakhstan is slightly longer at just under nine hours. They may not be the easiest places to play in, but your expected points from these three relatively weak $15k events would definitely be higher than playing what tend to be stronger European events and the journey to Challenger level could be sped up.